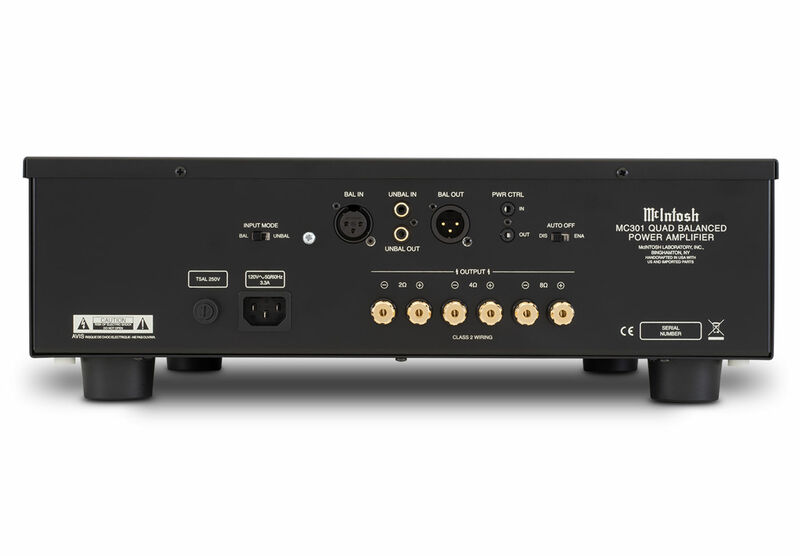 While it is physically smaller than our other amplifiers thanks to its space saving 6” tall chassis, it’s still full of all the technology McIntosh is known for and will perform to the same high standards as anyof our amps. 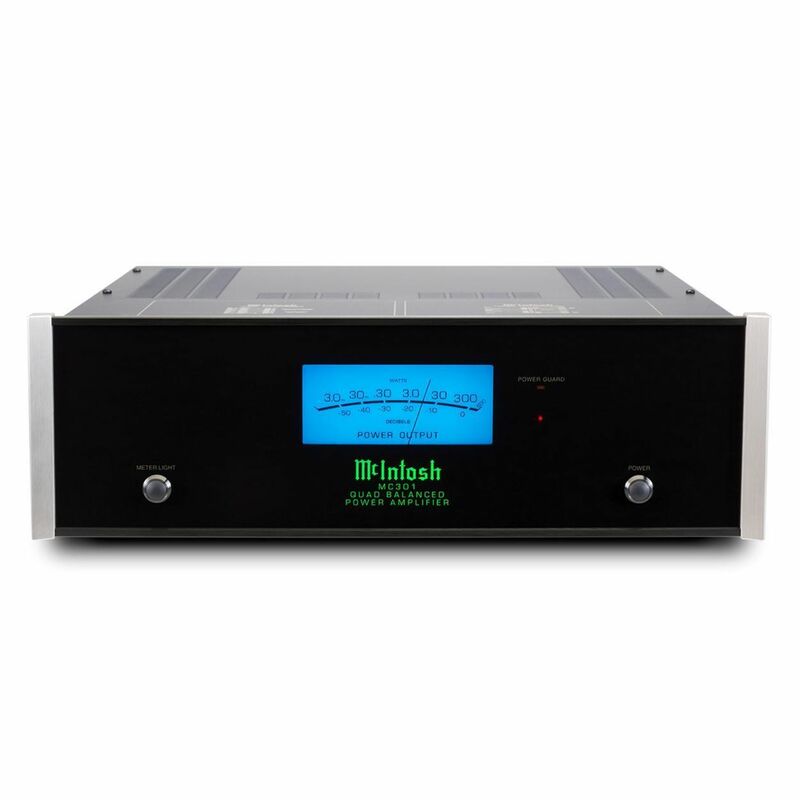 The McIntosh output Autoformer ensures every speaker receives full power regardless of its impedance. With our Quad Balanced design, any noise is cancelled inside the Autoformer, yielding the highest power with the least amount of distortion. Our unique Power Guard® circuitry prevents harsh sounding clipping that could damage your speakers. Your speaker cables will be securely connected to the amp with our patented speaker binding posts. 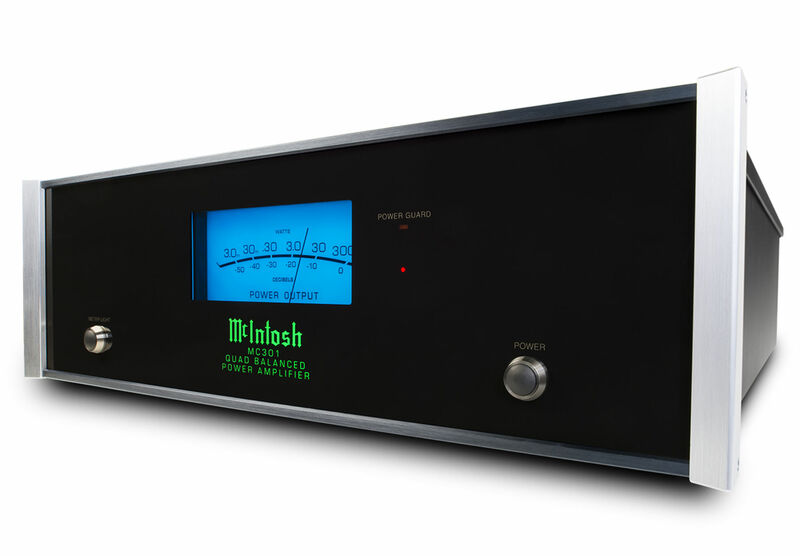 The MC301 is completed by the classic McIntosh black glass front panel, silver end caps and a large, easy to read blue watt meter that isglobally recognized as a symbol of quality audio. Impress your friends and family with the legendary performance only McIntosh can deliver by adding the MC301 to your audio system.